Evan Tanner is an agent for US Intelligence. The most remarkable aspect of Tanner is that he cannot sleep. For the first 18 or so years of his life, he was quite normal, sleeping 6-8 hours each day like most everyone else. It was in Korea during the conflict where he, serving as an infantryman, saw his life changed. A mortar attack produced shrapnel and a small piece entered his brain, destroying his sleep center. As he describes it, most scientists did not know how it worked but on him, after the wound, it no longer did what it once had. At first there was the worry that he would quickly go insane. Common wisdom said that human required sleep, not just to recoup physical energy but also to dream. To handle the problem, Tanner soon turned to yoga. Through that meditative practice Tanner was able to give his body rest and his mind a chance to relax. But the yoga regimen only required approximately 20 minutes out of his day. The question became what to do with the other 7 hours and 40 minutes that most people spend each day sleeping. Tanner decided to use it to study. In the 16 years that followed prior to the first adventure, Tanner's life was filled with study, a love he had always had. Histories, philosophies, abstract ideologies, you name it, he read it. He supplemented his disability pension with money earned writing term papers, thesis's, and doctorial dissertations for students who were dumb, lazy, or both. And he joined things. In his bizarre outlook on life, combined with his voracious reading habits, he took a liking to strange causes. He became a member in good standing with a group contending that the world was truly flat. He joined and supported separate organizations trying to free oppressed peoples in Macedonia, Lithuania, Czechoslovakia, and others. The list went on and on. This entertained him but it also brought him to the attention of the FBI and the CIA who couldn't believe he was for real and couldn't ignore him in case he was. In addition to his love of strange under-dog groups, Tanner has an amazing knack for foreign languages, knowing many already and able to learn new ones very quickly. This talent, thrown in with his contacts across Europe and Asia through his many lost causes, gives Tanner amazing resources in the many countries he visits. As the series begins, he is pushed into working for a secret organization in US Intelligence. Evan Tanner learns of a stash of gold hidden in Armenia. Going there to collect it, foul-ups happen and he finds himself fleeing Turkish police in Istanbul. 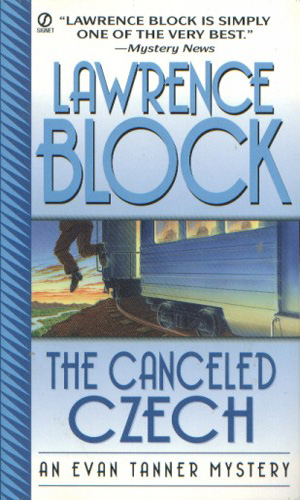 Getting to Ireland, he is slipped a note and a package by a man who is subsequently shot dead. Being mistaken for an agent by others who want what he was given. Janos Kotacek was a former Nazi war criminal from Czechoslovakia living in Lisbon, at least until the Czech police abducted him and brought him home to be tried, convicted, and hung. 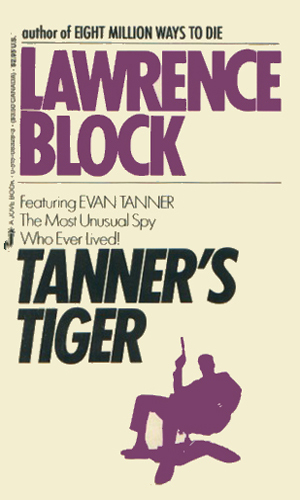 The Chief asks Evan Tanner to free Kotacek to procure a set of files about a Fourth Reich. Evan Tanner was drunk when he made the promise to travel to a Soviet republic to bring out a beautiful gymnast. She wants to come with him but insists he bring out her 11 friends. Then there is a Yugoslavian official who also wants to get out. Tuppence Ngawa was a gorgeous Kenyan living and singing in New York jazz clubs. She was also a lover of Evan Tanner. When she got a chance to travel to Thailand for a gig, he was sorry to see her go but happy for her chance. Then the call came from her that there was trouble. And then she and her quartet disappeared. The Chief wanted Evan Tanner to go to the Montreal Expo to check on strange Cuban activity at their pavilion. His lady wanted to visit the Expo. It was 90 degree New York City and his air conditioner was broken. So he went. That's when things really got hot with angry Cubans and Quebec separtists aplenty. The beautiful and innocent Phaedra Harrow is one of the few women that Evan Tanner ever thought seriously of asking to marry but she demurred and soon left his life. Months later, a frantic call from her mother informs him that Phaedra has gone missing. Tanner finds she is in the hands of white slavers shipping women to Afghanistan. Jane was the daughter of missionaries who changed her name to Sheena when she became the marauding leader of cannibals in Modonoland. Meanwhile, the former leader of Modonoland has disappeared with an American agent the Chief sent to help and the Chief wants to know what happened. In 1972, a Swedish agent drugged Evan Tanner and put him in a cryogenic freezer. 25 years later, Tanner is thawed out. Talk about the spy who came in from the cold! Coping with his resurrection, and the fact that he hasn't aged any, he is approached by the Chief. Nearing 90, the Chief wants help with a problem in Burma. Tanner, in need of money, agrees. 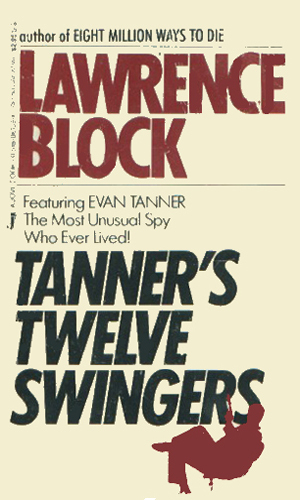 The escapades of Evan Tanner are a blast to read. They are also somewhat hard to classify for they are neither satires nor spoofs. On the other hand, they are certainly not serious spy novels. 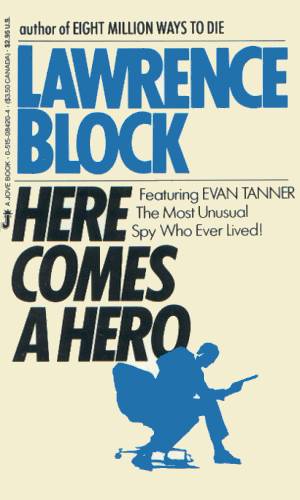 I would guess they are the humorous adventures of a man who sometimes gets involved in espionage work. Whatever the classification, they are funny. Each adventures does have a moment or two where they threaten to bog down but just as you are about to start growling, Block hits you with a twist or an outlook or a comment that'll have you laughing and moving on. 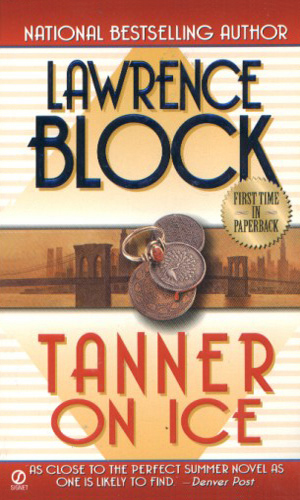 I thank Lawrence Block for creating Tanner. I thank him for bringing him back from the cold. I'd like the chance to thank him for keeping Tanner going for an adventure or two more. Surely one of the most unusual Intelligence Agents ever. Tanner's insomnia is quite a nifty idea. 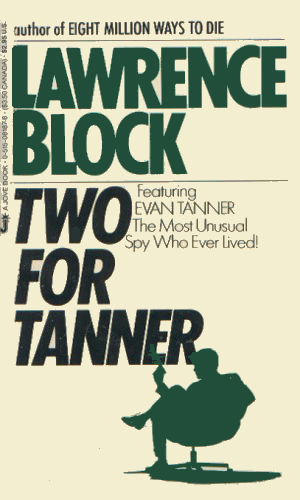 One can see how having all those extra hours to learn languages and explore the more exotic political philosophies would make Tanner an idea agent. The books are hard to pin down. 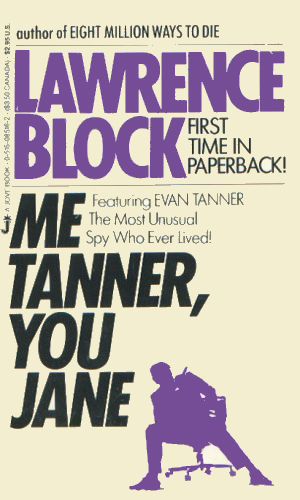 Humorous, yet at times quite dark, Tanner's missions are unpredictable and often go into the almost-absurd realm. But I love every minute of it. 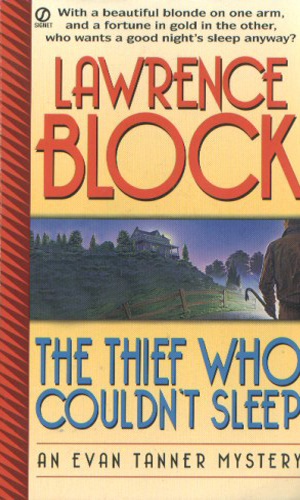 I sinceerely hope Block does a few more, although he seems to favor his other creations these days. In my opinion, Evan Tanner is Block's greatest and most unique creation. And yes, I've read all the Rhodenbarr and Scudder books.